Enjoying better health and a fantastic well-being is what’s important to us. 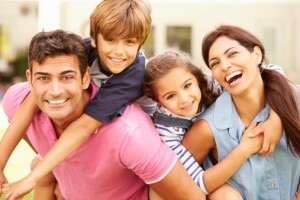 For effective gum disease treatment, Williamsport residents can put their trust in us. Are you missing any teeth? It’s nothing to be ashamed of – a lot of people suffer from missing teeth. But, leaving the condition untreated can be detrimental to not only your oral health, but your overall health, too. With dental implants, you can enjoy a restored appearance and comfortable functionality. Implants use titanium posts to restore a patient’s missing teeth and tooth roots. The results are phenomenal and feel more natural than traditional restorative options. If you are in need of dental implants, Williamsport has our new office for your visit. In order to discover which service is right for you, a one-on-one consultation with Dr. Holden is highly recommended. We don’t want you suffering from dental anxiety anymore. We have the tools and people to help you stop fearing treatment. For the best in periodontal therapy, dental implants and sedation dentistry, our new Williamsport office has all of these services and much more! Please come visit us today at 1202 Clayton Avenue in Williamsport, PA. We’re proud to serve the Williamsport area as well as the surrounding communities of Farragut, Garden View, Sylvan Dell, Bella Vista and beyond.